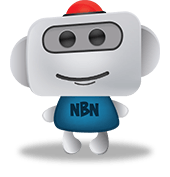 So you’d like to register to participate in the ‘Registered Cablers’ program to provide communications infrastructure for NBN connected dwellings. That’s great to hear, and we’re confident it will be a wise choice in expanding the services you offer and the business opportunities that open up from it. You should note: This is an opt-in program that you can choose to participate in or not. It does not affect your Registration or Competencies in any way. An Open Registration Cabler with Structured Cabling Competency/Endorsement as a minimum. Enter your name, registration number, preferred contact phone number and email (optional) on the fields below. *The conventional means to reticulate broadband, internet, ethernet or other IP information is via structured cabling (eg Cat 6 UTP cabling). Other technologies such as Passive Optical LAN (POL), Power Line Communications (PLC) and Multimedia over Coax (MoCA) provide this reticulation but utilise other mediums such as optical fibre and coaxial cabling. In these circumstances, you will need to hold other specialist cabling competencies to legally install the respective cabling. We’ll verify your details on our Registered Cabler database to confirm your qualification to participate in this program. From there, we’ll update your details to list your qualification. From there, your details will be presented to consumers who are directed to the www.registeredcablers.com.au web site looking for cablers to provide quality cabling or other communications infrastructure for their premises, to take advantage of the NBN being brought to their home of business. To return to the www.registeredcablers.com.au web site, just close this web page, or look around on this web site to find more information on cabling, telecommunications, regulations, and technology that could directly help your business or you in your professional development.